Lot 175 Brass BR Oval Steam Locomotive Worksplate. 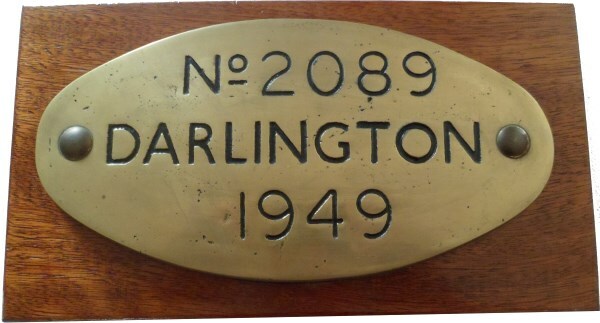 "No 2089 - DARLINGTON -1949". As carried by a Class J72 0-6-0T No 69008 - Allocations included 53E, 53A, 50A, 52B, 52A Wdn 12/63. Ex Loco condition.